Under the Liberal government, Canada’s military mission in Iraq shifted away from direct combat against ISIS to more proactively supporting local forces. It may not entail punching above our weight, writes James Cox. But this does not mean the government's shift in emphasis doesn't have any advantages. 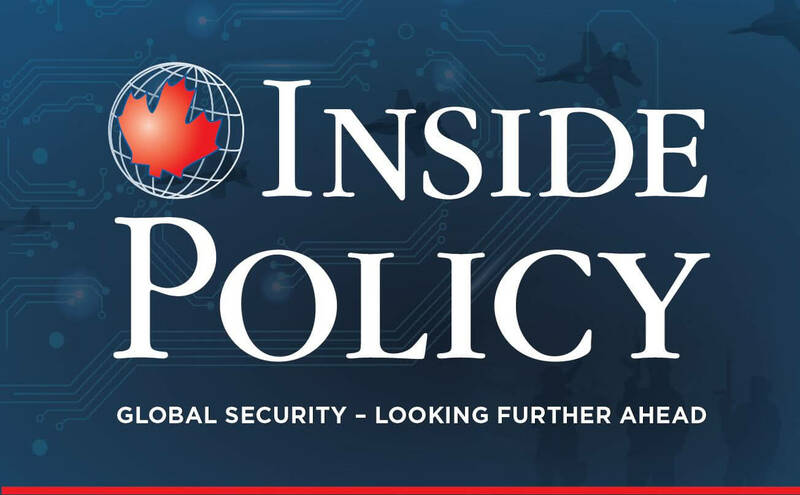 This article represents the first in a new series of Inside Policy posts that will explore different aspects of global security - in a continuation of MLI's Global Security Look Ahead project. In October 2014, a majority in the House of Commons voted in support of a Canadian air bombing mission against the Islamic State of Iraq and Syria (ISIS, also known as the Islamic State of Iraq and the Levant – ISIL), as part of a US-led coalition. Liberal Leader Justin Trudeau voted against the mission. Then, during the 2015 federal election campaign, the Liberals ran on a promise to refocus Canada’s military contribution on the training of Iraqi security forces. Once in office, now Prime Minister Trudeau announced that Royal Canadian Air Force (RCAF) CF-18s would cease bombing ISIS and be brought home in March 2016. When the Canadian government withdrew from the bombing campaign, many resented this apparent retreat from direct combat against ISIS. However, the fact is Canada’s six fighter aircraft could have no decisive effect within an air coalition that numbered over 500 aircraft. For example, Canadian fighter aircraft flew a total of 1,378 sorties between 2014 and 2016, while the coalition air component flew over 30,000 sorties. Moreover, operating the ‘six-pack’ of CF-18s constituted a tremendously costly endeavour. Our billion-dollar aircraft were attacking ISIS equipment worth thousands of dollars. And, in the background at the time, there was the issue of a ballooning federal budget deficit. But why not do both? Why not continue to bomb ISIS and enhance our training capacity? The answer lay in another, earlier government shift. The new Canadian mission in Iraq was introduced in the House of Commons on 17 February 2016. In leading off debate, Trudeau outlined the expanded Canadian Armed Forces (CAF) role to advise, assist and train local Iraqi security forces, significantly enhanced intelligence capabilities, continuation of RCAF surveillance and refueling, deployment of CAF medical personnel to lead a coalition field medical facility, senior staff officers to assist in coalition liaison with the Government of Iraq, and enhanced capacity-building efforts in Jordan and Lebanon. Local forces have always played a central role in the broader mission. But now Canada would step back from undertaking direct action alongside those forces. Somewhat ignored was Trudeau’s explanation that Canada’s goal was now “to allow local forces to take the fight directly to ISIL to reclaim their homes, land, and future.” Furthermore, later in his statement, Trudeau said, “Our government understands the need for a sustained effort, working with our international partners, to enable local forces to defeat those terrorists [author’s emphasis].” Many missed this mission-shifting statement. The difference was subtle. Local forces have always played a central role in the broader mission. But now Canada would step back from undertaking direct action alongside those forces. This was no longer Canada’s fight, but we would help those whose fight it was. The upshot of all this is, having sat out the 2003 US invasion of Iraq, Canada now found itself operating within another US-led coalition in Iraq. The 68-member Global Coalition against ISIS was formed in September 2014 under US leadership, to degrade and ultimately defeat ISIS. Under US Operation Inherent Resolve, which provides the military framework for this coalition, the multinational US-led Combined Joint Task Force is tasked to militarily defeat ISIS and includes two subordinate elements: a land component (with a Canadian Brigadier-General as Chief of Staff) composed of forces from 19 countries that controls coalition land operations; and a SOF component that advises, assists, and trains Iraqi security forces and conducts special operations against enemy jihadis. Canada’s overall mission in Iraq, as a member of this broader coalition, is an integrated effort involving multiple departments and agencies. Canada appears to be pursuing three lines of operations. First, the CAF military mission provides direct and indirect enabling support to Iraqi security forces in their fight against ISIS. Second, Global Affairs Canada (GAC) contributes to multilateral humanitarian and stabilization programs in Iraq. Third, beyond Iraq, Canada has military training assistance teams working to enhance our cooperation with Jordanian and Lebanese military authorities to help improve security forces engaged in operations against ISIS. Canadian military contribution is under Operation Impact, which has its Joint Task Force-Iraq (JTF-I) headquarters located at Camp Canada in Kuwait. In northern Iraq, a detachment oversees the Joint Task Force air detachment and a Canadian-led coalition medical facility. Also based in Erbil, but working separately, are over 200 Canadian special operations forces (SOF) troops advising, assisting and training Iraqi Kurdish security forces (Peshmerga). Particularly in the fight for Mosul, Canadian SOF frequently employ long range weapons against ISIS fighters in support of local forces engaged in close combat, and designating targets for attack by Coalition aircraft. The RCAF operates aircraft from a regional airbase outside Iraq. It contributes to Coalition air operations by providing one CC-150 Polaris aerial refueler aircraft, up to two CP-140 Aurora surveillance aircraft, and a tactical aviation detachment of up to four CH-146 Griffon helicopters to provide tactical mobility and casualty evacuation for Canadian SOF troops. In all this, the centre of gravity of the Canadian effort is the SOF contribution that provides sustained near-immediate tactical effects that serve to degrade ISIS. In all this, the centre of gravity of the Canadian effort is the SOF contribution that provides sustained near-immediate tactical effects that serve to degrade ISIS. Tripling the size of the Canadian SOF contingent achieved a more enduring impact by contributing to the training and effectiveness of literally thousands of Iraqi military personnel who subsequently participated, and are winning, in the battle for Mosul. 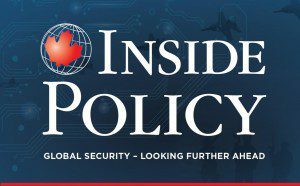 Other Canadian military elements constitute enablers, almost all of which have no direct relationship with Iraqi security forces fighting ISIS but are necessary for the conduct of a large military campaign. Apart from Canadian SOF, the entire effort might look like any other Canadian peace support mission, mirroring Canada’s pre-Afghanistan habit of what Chief of the Defence Staff General Jonathan Vance once called “contribution warfare.” Once again, government has sprinkled military talent across the coalition, producing no decisive Canadian effect. We may not be punching above our weight here, but there is an inherent Canadian training advantage. Canadian military personnel are gaining valuable experience in the conduct of a modern military campaign against an asymmetric enemy. Despite the extent of Canada’s military mission, many think we could do more. But, why should we? ISIS is not an existential threat to Canada. It is not even an immediate and pressing danger, as it is to many European countries owing to the larger number of foreign fighters who have travelled there (and may return). Many consider ISIS-inspired home-grown radicalization and terrorism to be a national security threat within Canada. The fact remains, however, that any Canadian is more likely to die in a traffic accident than be killed by a terrorist. And, even then, this threat can be better dealt with using intelligence and law enforcement rather than expeditionary military missions abroad. The government has decided the campaign against ISIS in Iraq is not our fight, that it should be waged by those whose country, freedom, and life are at risk. Canada has stepped in to help them where we can. It is important to remember the larger context here. Consider that the CAF also has 200 troops deployed to conduct individual and small team training in Ukraine, as well as over 200 troops deployed to Poland as part of a NATO reassurance operation, to help dissuade Russian adventurism. Canada has also committed 450 troops to a NATO battle group to be deployed in Latvia. There are at least 25 other ongoing CAF operations and maybe more peace support missions to come. It is well to remember all this when considering what can reasonably be done in Iraq. It is also worth remembering all this when debating whether or not Canada is pulling its weight in NATO, but that’s another story. Brigadier-General (Retired) Dr. James (Jim) S. Cox completed a 35-year military, mainly in operationally oriented command and staff positions across Canada and on five continents. He is a Senior Fellow at the Macdonald-Laurier Institute.